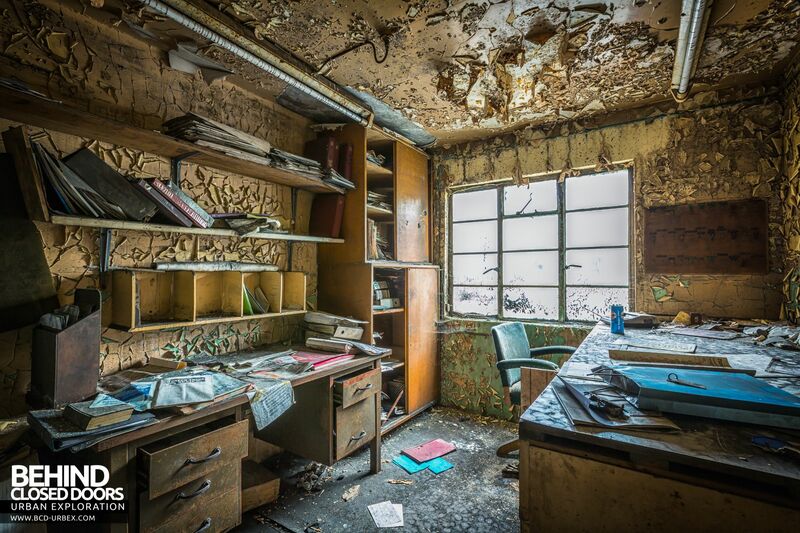 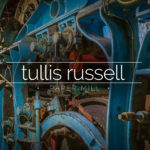 Tullis Russell Paper Mill in Glenrothes, Fife produced paper and board for use in cards, covers and premium packaging. 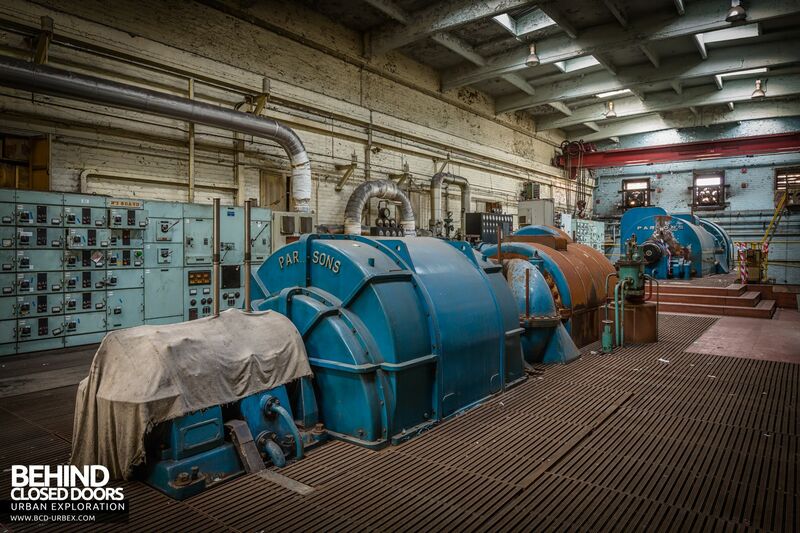 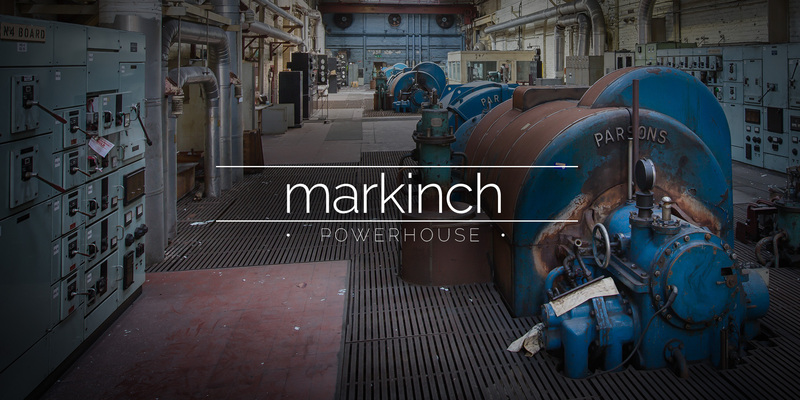 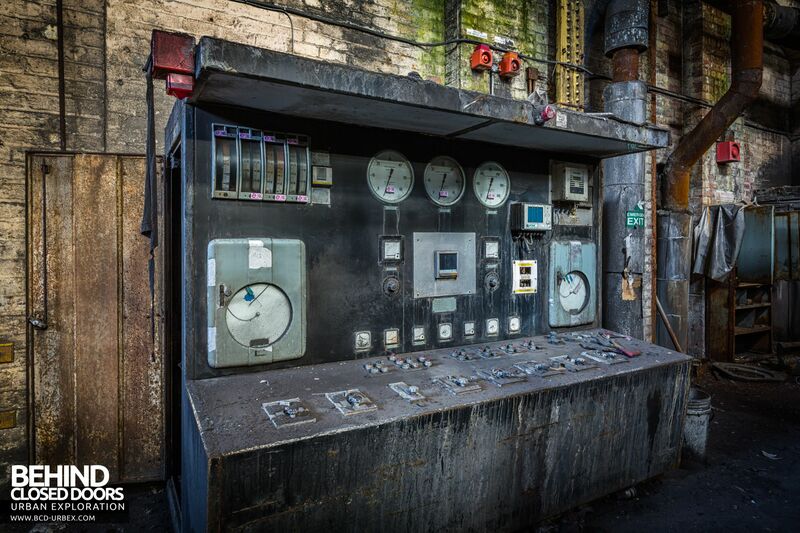 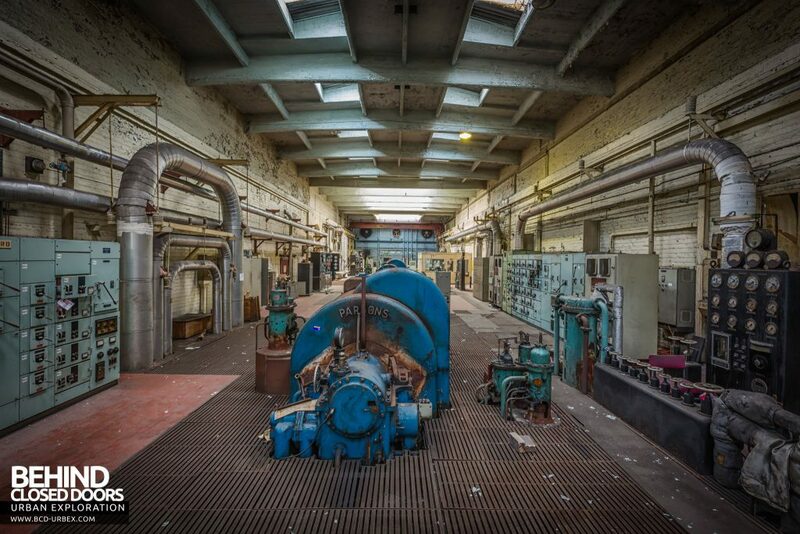 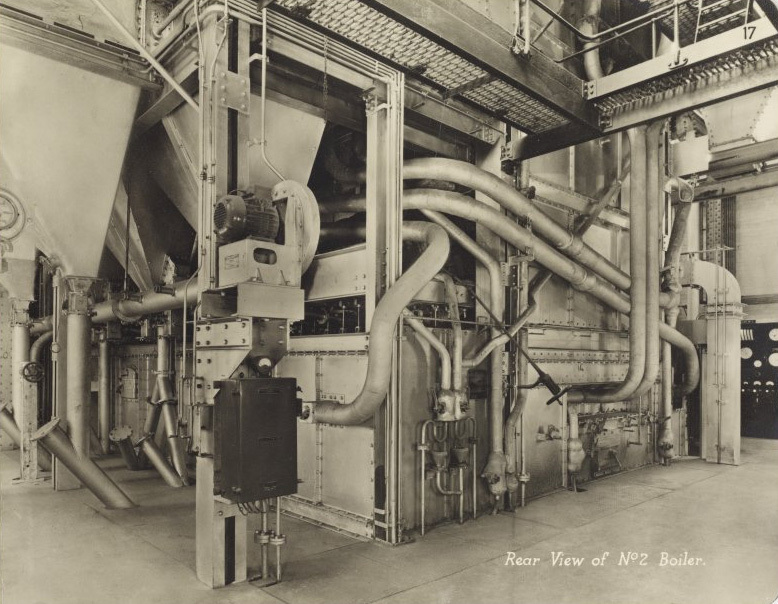 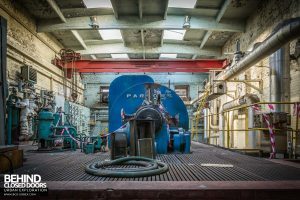 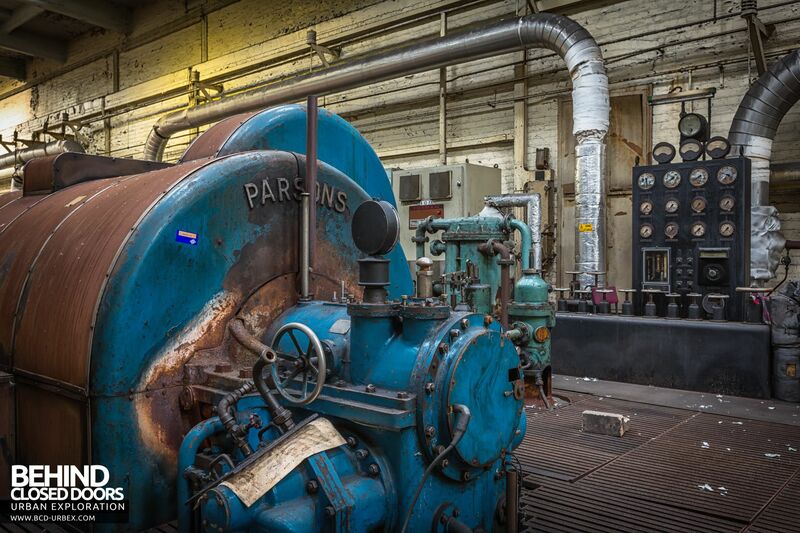 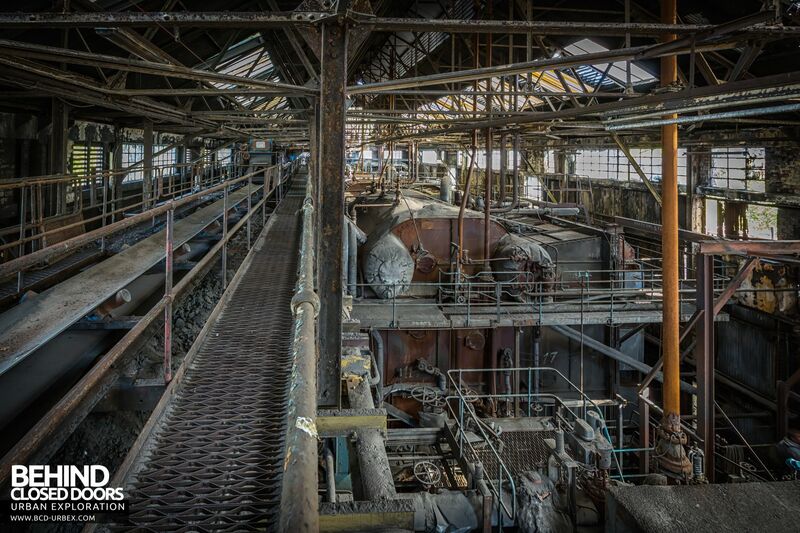 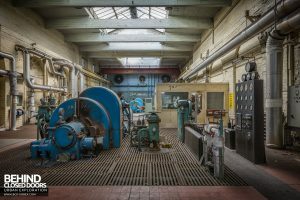 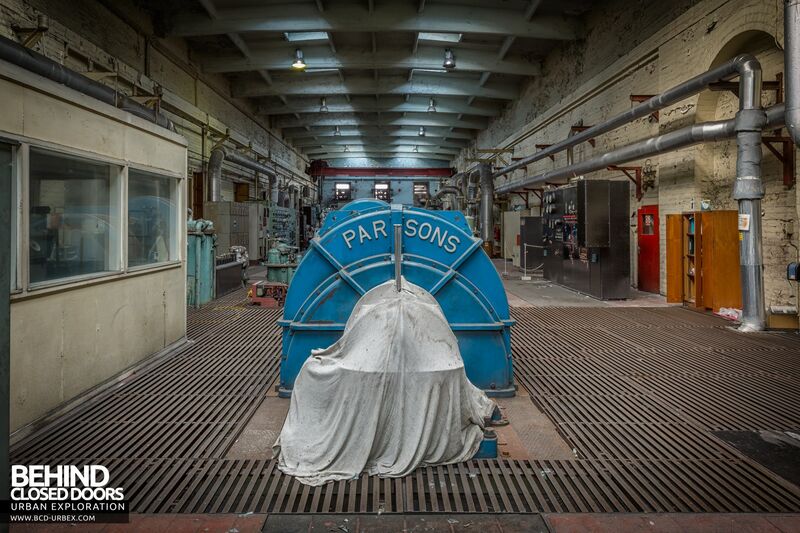 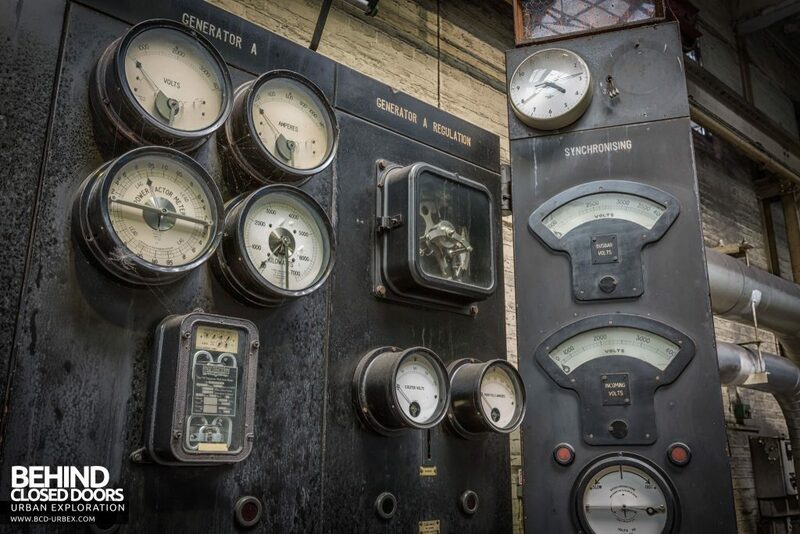 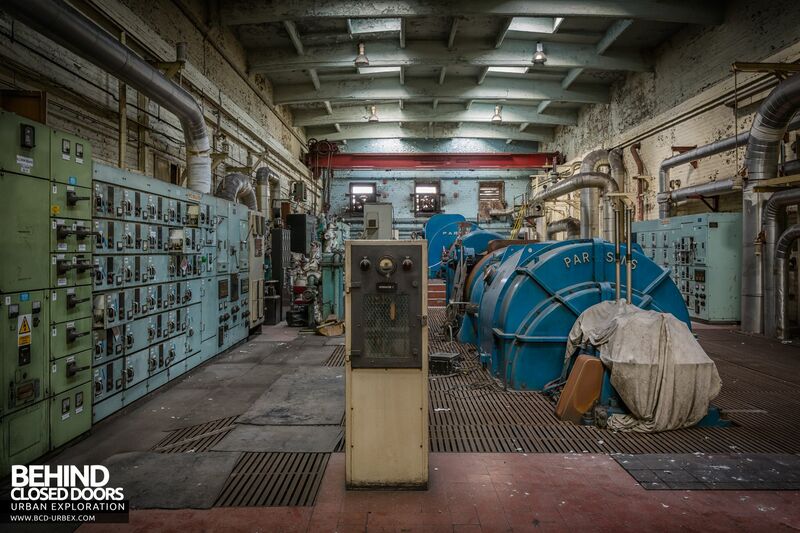 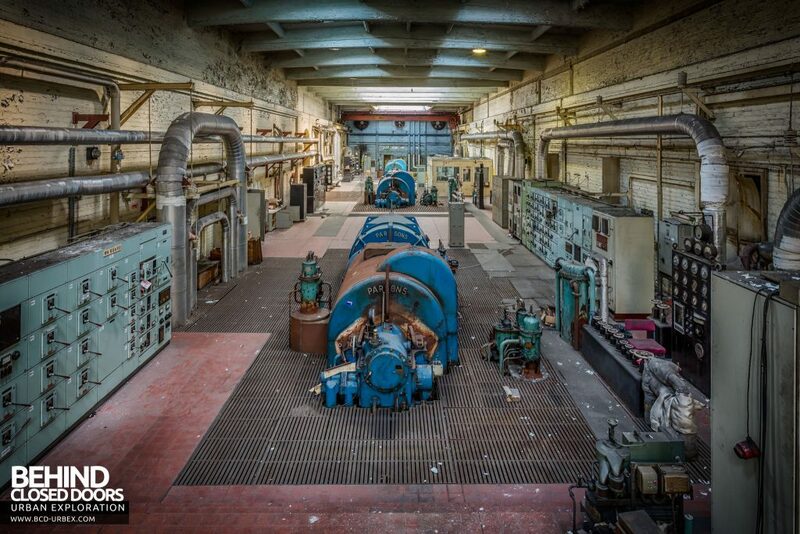 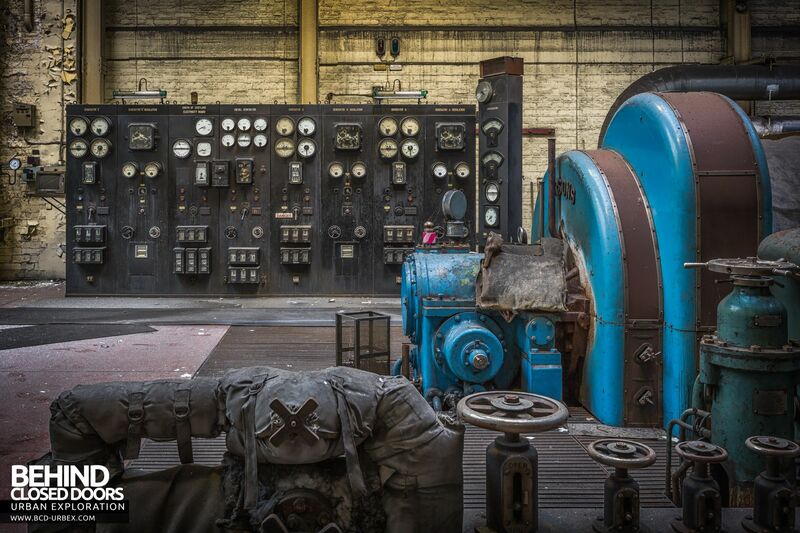 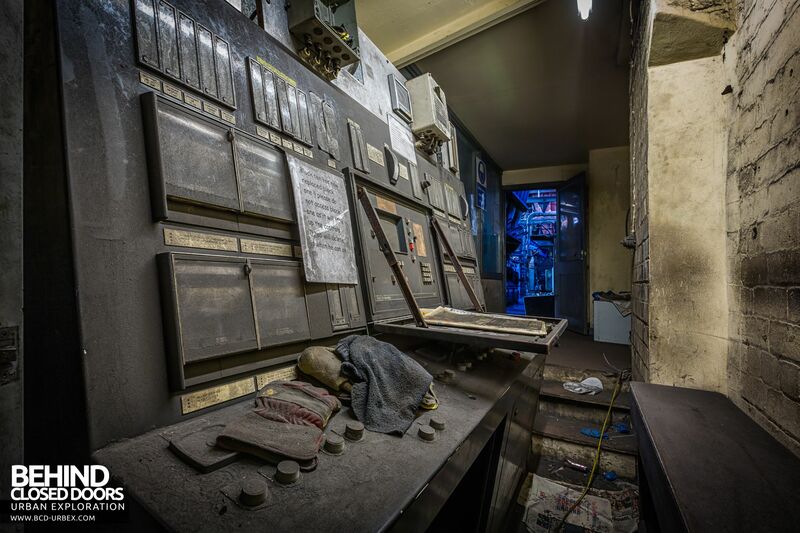 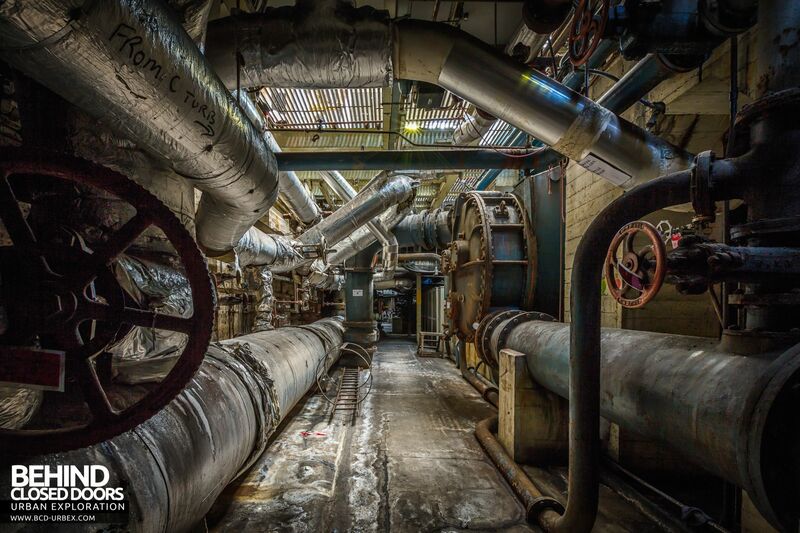 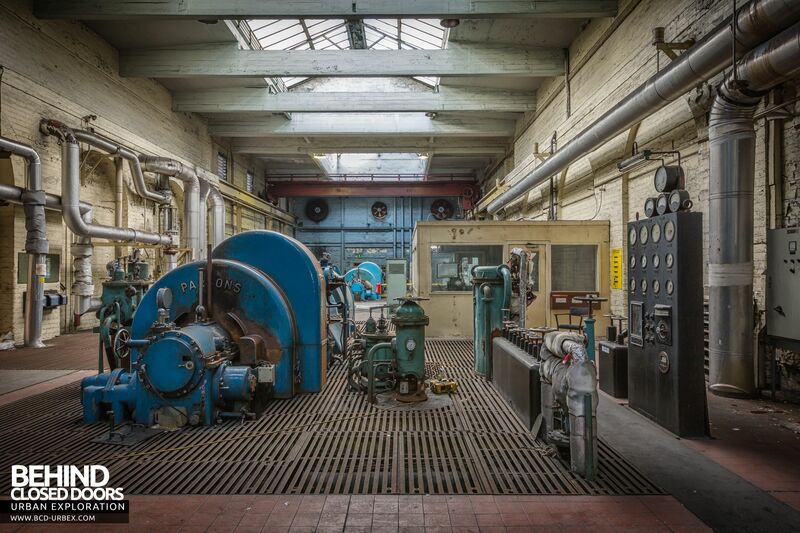 The Markinch Power Station was built to provide electricity and steam to the paper mill. 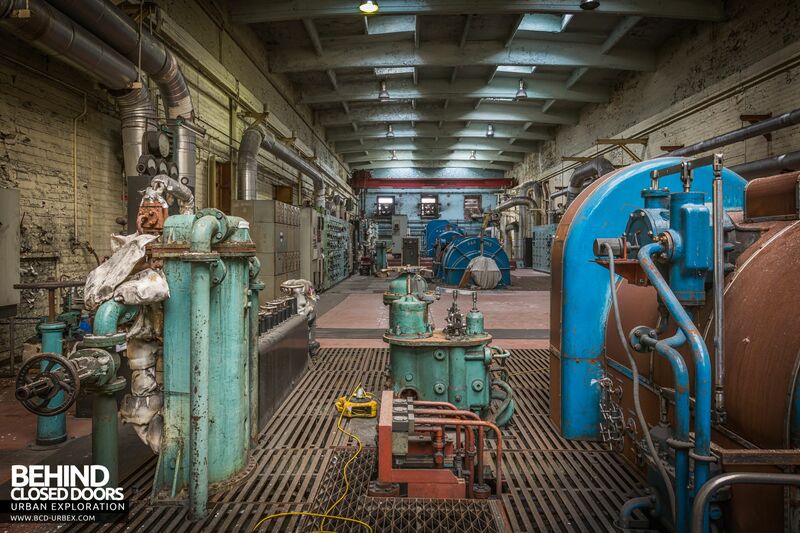 Construction began in 1912 and was completed in 1914. 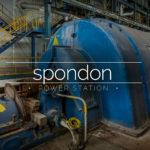 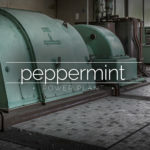 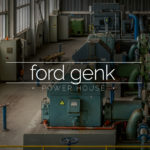 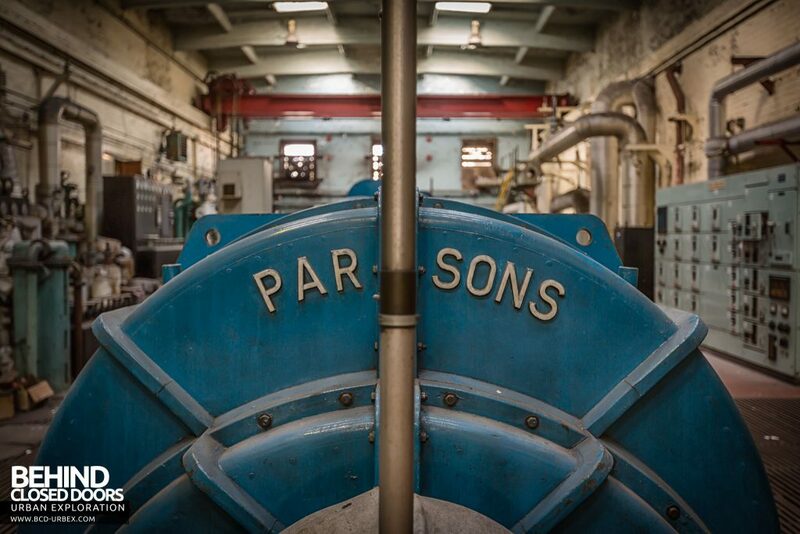 Originally consisting of a single Parsons turbine and generator unit, the power station was enlarged in 1921 to add another two units. The ability to co-fire oil along with coal was also introduced at the same time. 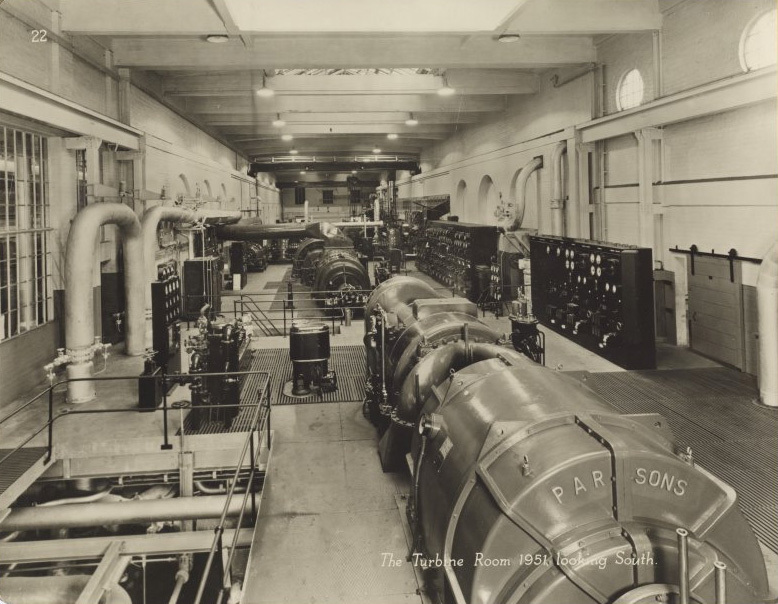 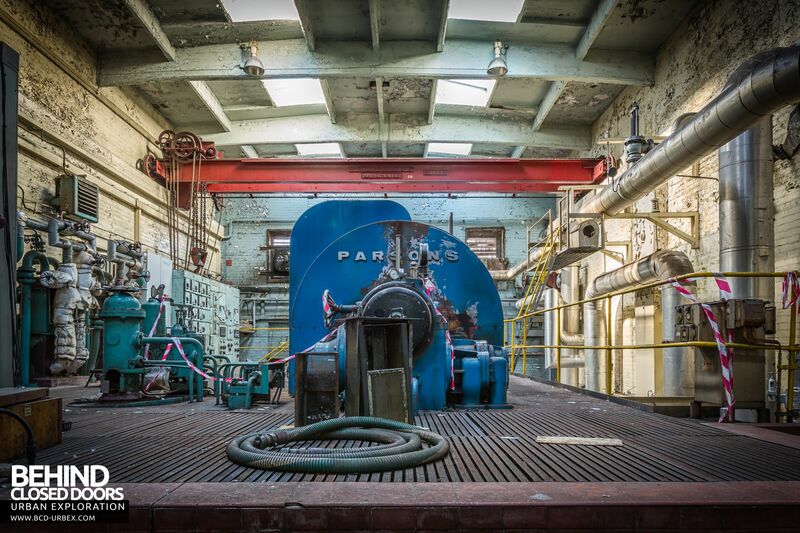 The powerhouse was then expanded once again and a fourth, larger Parsons turbine was added. 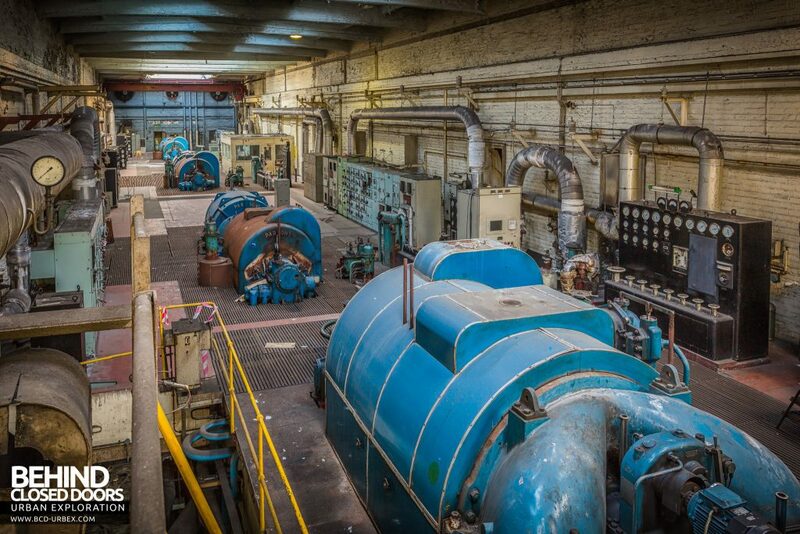 In 1979 David Russell expressed his concerns about energy shortages and suggests that Tullis Russell must save coal. 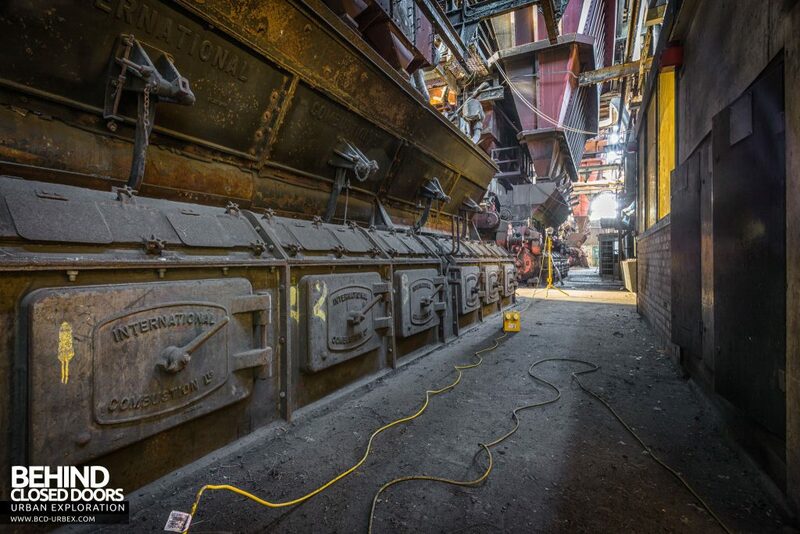 He devised a method of continuous working to avoid closing down at weekends which saved 70 tonnes of coal. 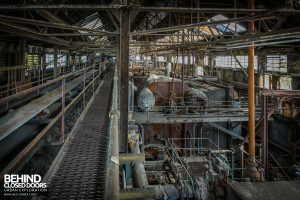 He also started looking for an alternative to burning oil. 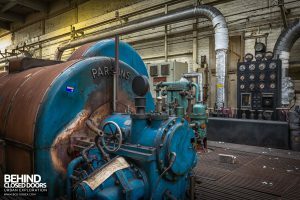 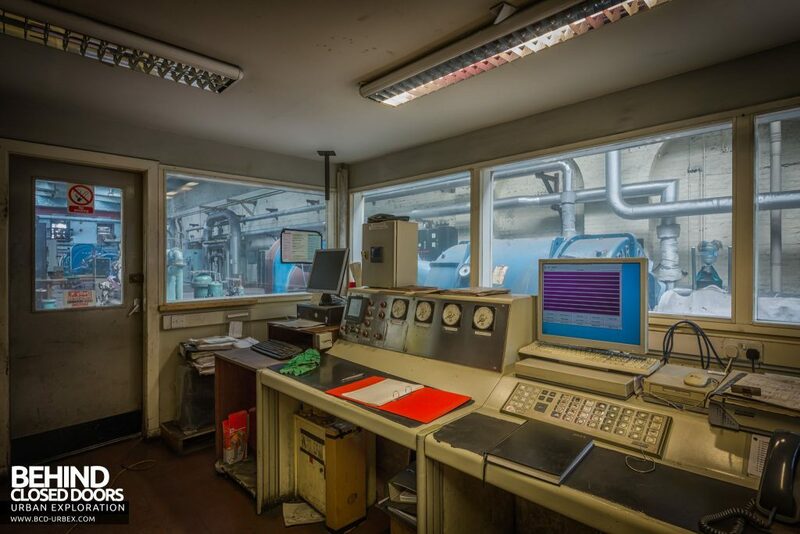 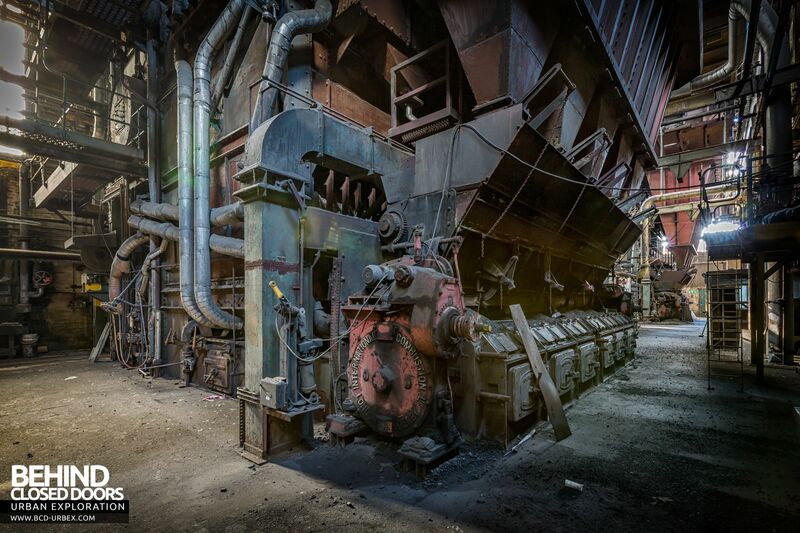 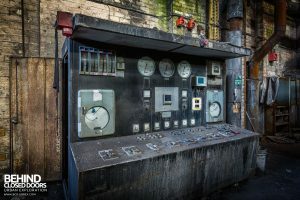 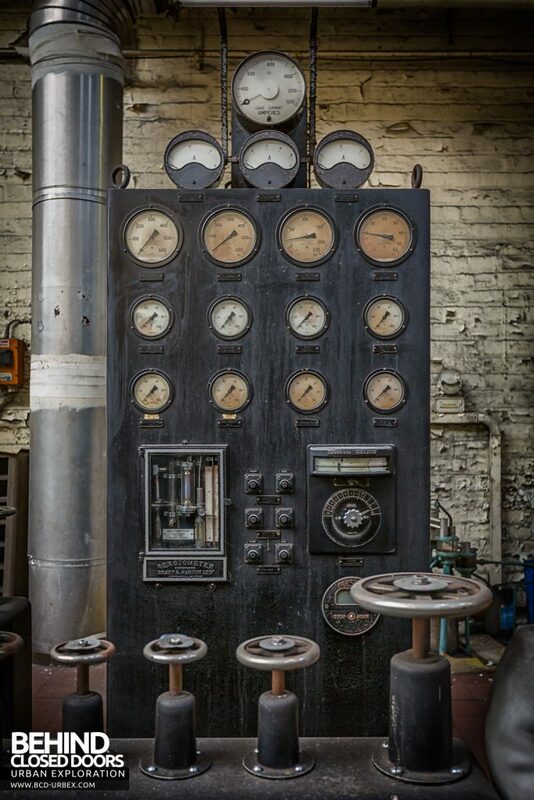 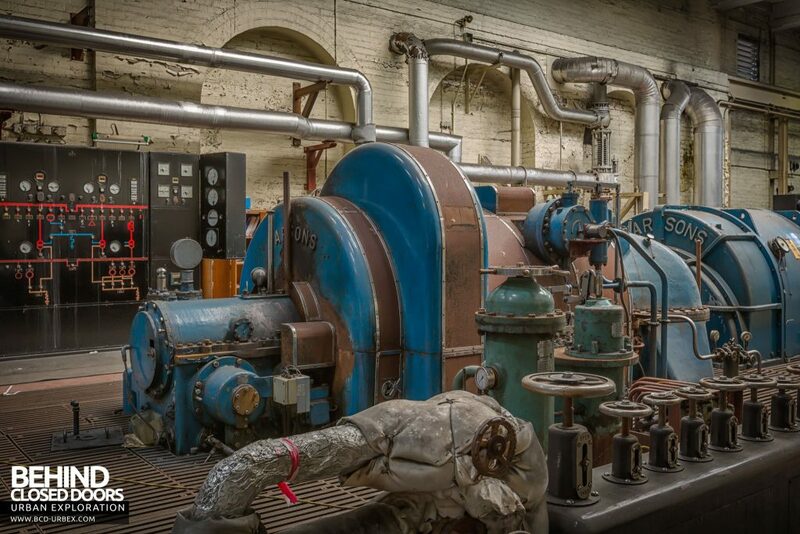 In 1999 one of the boilers was converted to run on gas, but it was realised that cleaner and cheaper energy was still required. 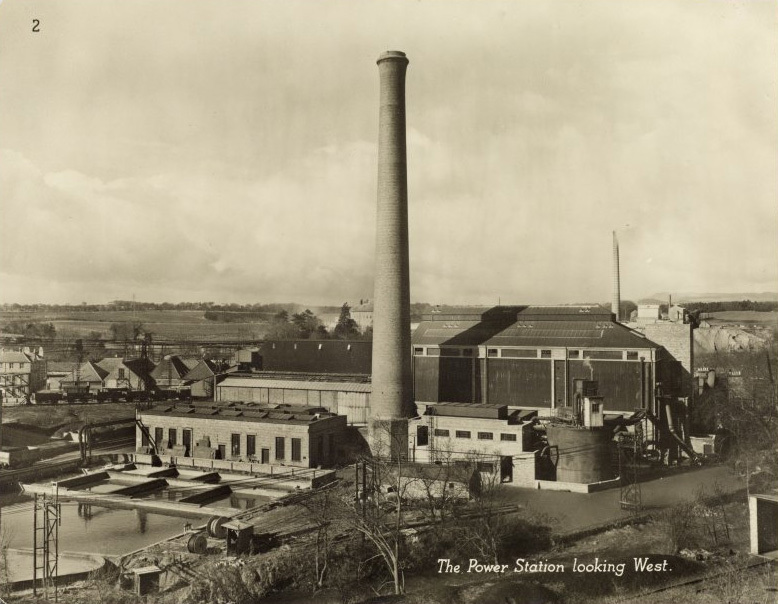 In 2012 RWE invested in the Glenrothes site to build a biomass power station to replace the ageing coal plant. 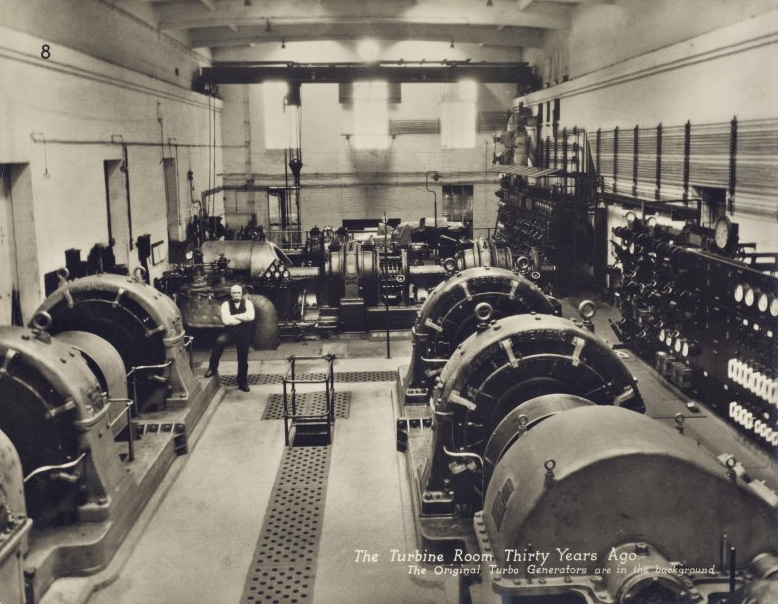 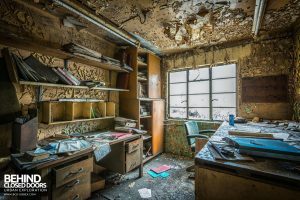 The new plant provided both steam and power to Tullis Russell, and made the old plant obsolete.